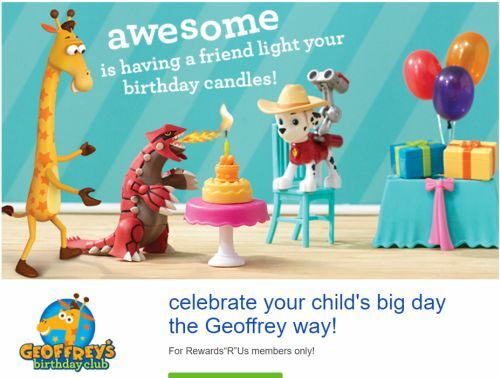 Geoffrey's birthday Club Members receive a free Lego toy & other surprises. Your child will receive a coupon via email for a FREE LEGO toy! Just one more way to celebrate your child’s birthday—the Toys“R”Us way!